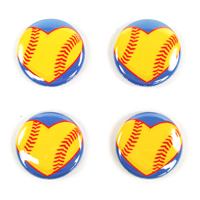 Swing for the heart with Softball Roses! 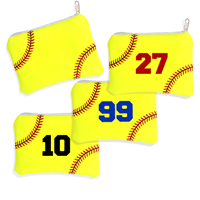 Send a softball fan, athlete, coach or team mom a gift that express their passion for the game. 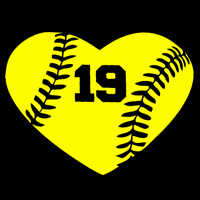 The petals of each Softball Rose are carefully handmade from genuine softball covers to form an unforgettable bloom that lasts a lifetime! 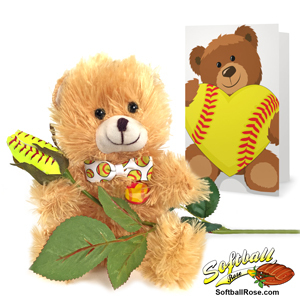 Softball Roses are a great gift for all occasions - Valentine's Day, birthdays, graduations, tournaments, award ceremonies, senior night, or just to say thank you to a dedicated volunteer in your league. 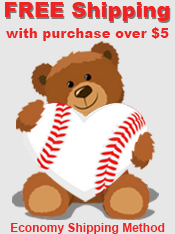 Softball Bear Greeting Card - Bi-fold greeting card printed on premium glossy 130lb heavyweight card stock measures 5"x7" and features a cute teddy bear holding a softball heart on the outside. The inside is blank to make the card suitable for all occasions. From Merena Cline-Elliott of Cairo, West Virginia on 6/1/2017 . 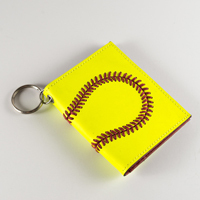 order was processed quickly! my daughter loved it! Thank you! From Cassie S. of Van Nuys, California on 5/5/2017 . A big hit with my Cavs teammates on HS Softball Senior day! !Not overwhelming sized bear, fits . . .
From Anonymous of Hamptoville, North Carolina on 2/22/2017 . From Marie A. of Annandale, Virginia on 4/12/2016 . 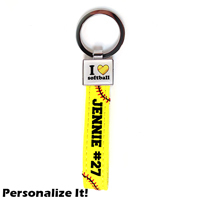 A delightful gift for a friend recovering from life threatening injuries. It hopefully provided . . . This was a great gift for Valentine's for my 13 year old. Something she can keep. 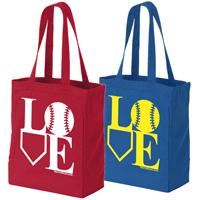 Love the . . .